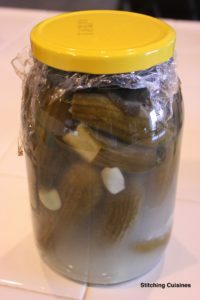 In Palestine, it is very traditional to have pickles with food. 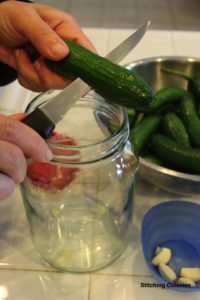 Women learn to make all kinds of pickles for their family. 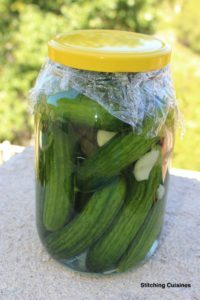 There are many types of delicious picked vegetables! 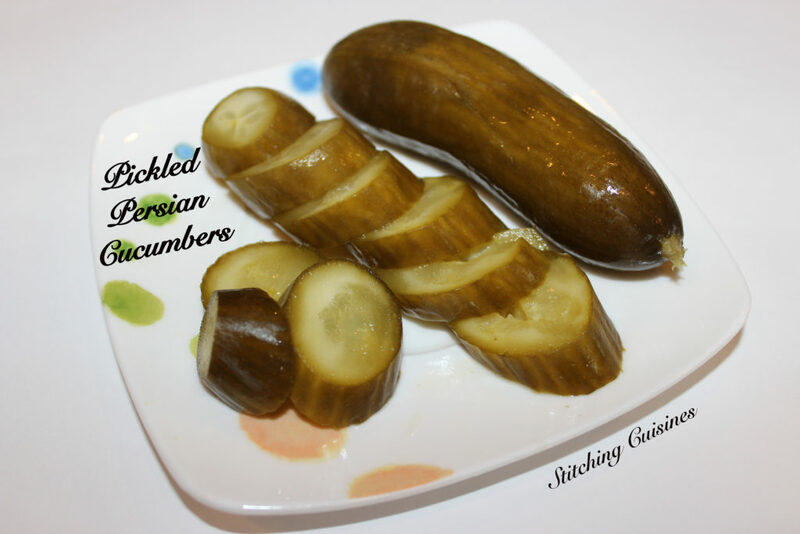 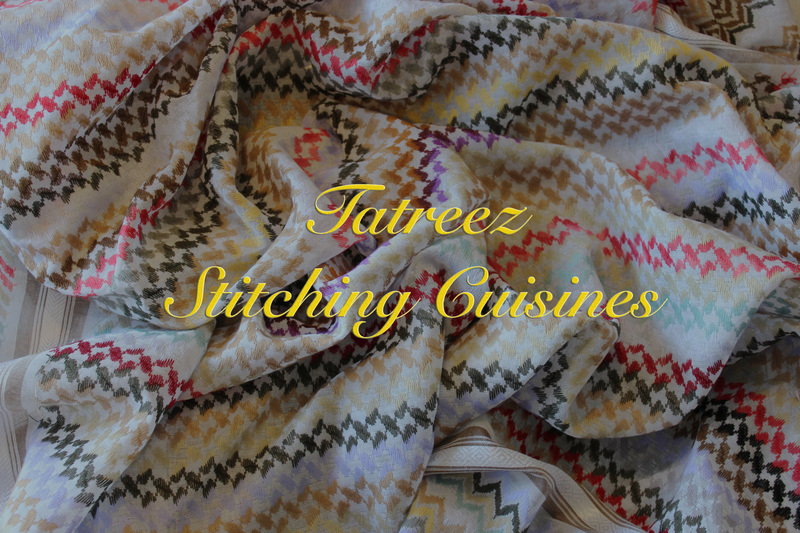 Persian cucumbers, cauliflowers, turnips, carrots, and cabbage are a few of my favorites. 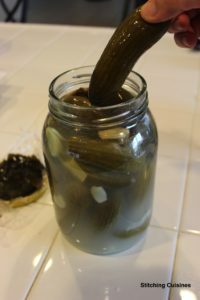 I learned how to make pickles from my mother. 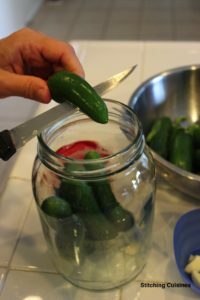 Each one of my children prefers one kind of pickles over the others, so I have learned how to make all kinds. 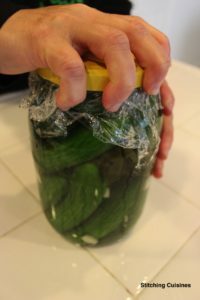 My oldest daughter’s favorite pickled vegetable is Persian cucumber, so I always make it for her. 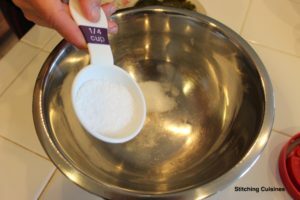 It is very easy and fast to make. 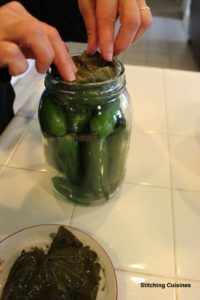 With a spicy kick and tangy crunch, it’s easily a favorite in my house. 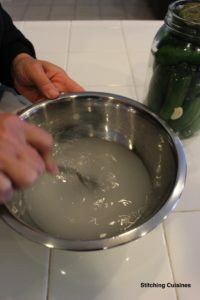 The simple process has a delicious outcome! 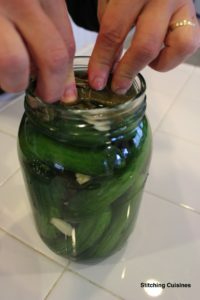 I’ve provided step-by-step instructions with pictures. 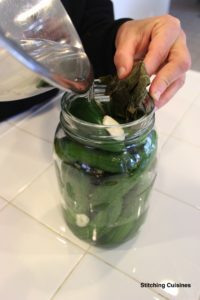 Wash the cucumbers and jalapeño peppers. 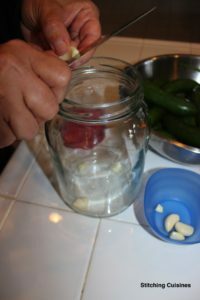 The peppers will add a spicy kick. 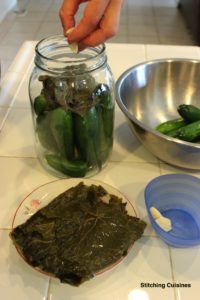 Place 2 grape leaves* in the middle of the jar. 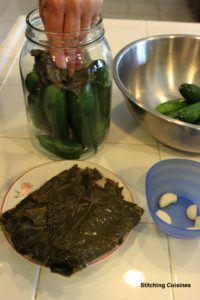 The grape leaves add a tangy flavor. 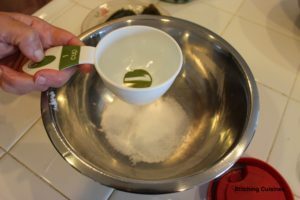 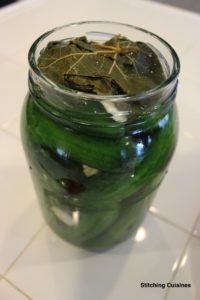 *Can substitute ½ cup vinegar instead of grape leaves. 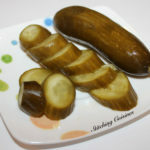 This adds the tangy flavor. 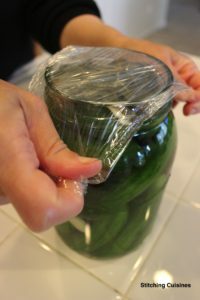 **This solution is what ferments the cucumbers into pickles after the jar is tightly sealed.